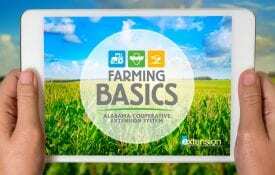 With the colder temperatures across Alabama, many growers are turning on their heaters for the first time. 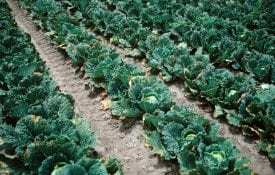 In about 2 to 3 weeks, we will start getting calls about suspicious damage appearing on their vegetable crops. 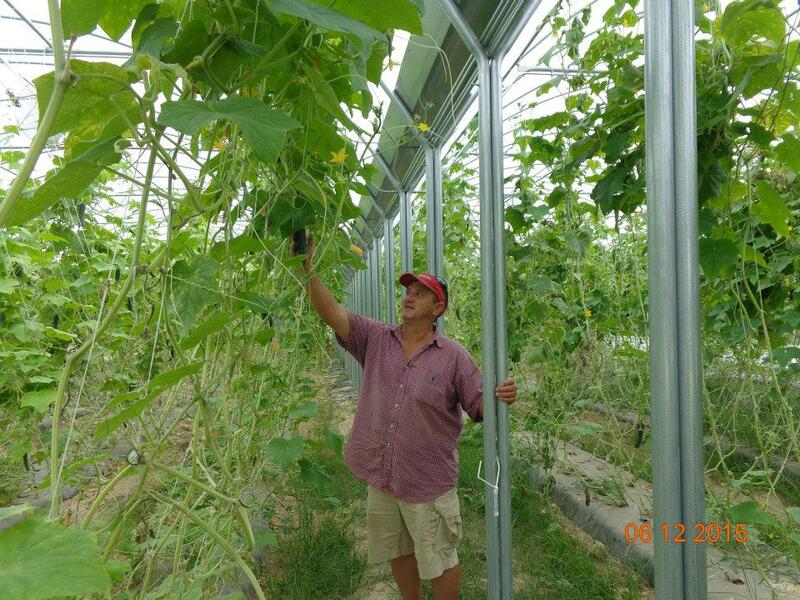 Over the past 20 plus years, greenhouse design and construction has greatly improved creating a tighter environment that does not allow outside air into nor inside air out of the greenhouse. If you are using a heater that burns propane, natural gas, or oil, it is critical that these fumes from combustion of fossil fuels be vented to the outside of the house. If there is a problem in your heating system, those gases will concentrate in your greenhouse causing problems even when they are at very low levels. The chief culprit is usually ethylene. Ethylene (C2H4) is an odorless, colorless gas, which acts as a plant hormone, altering the growth of many plants. Major losses caused by the ethylene can occur with many greenhouse crops including vegetables. Ethylene is a simple organic substance, which is highly active at low concentrations. Normally, as the concentration of gas increases, so does the degree of damage. The major source of ethylene is from combustion of fossil fuels often resulting from improperly adjusted or uncleaned greenhouse heating units, leaky gas lines, or exhausts from combustion engines. Significant losses to greenhouse growers from ethylene are reported each year and many more probably occur, but are not correctly diagnosed. No other air pollutant causes a greater range of damage symptoms than ethylene gas. 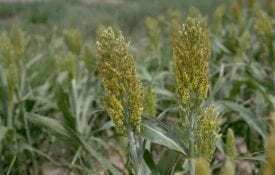 Symptoms include malformed leaves and flowers, thickened stems and leaves, lack of growth (stunting), abortion of flowers and leaves, bud and leaf abscission, and epinasty (drooping and curling of leaves). Plant species, temperature, duration of exposure, stage, and state of plant development, and ethylene concentration influence symptom expression. Harmful levels and effects of ethylene have been determined for greenhouse vegetable crops that are typically grown in Alabama. Tomato plants are highly sensitive to ethylene and exhibit a characteristic wilting (epinasty) which can be used as an indicator plant for ethylene. The leaf petiole of an epinastic tomato leaf is bent downward, as if it is wilted, however it is completely turgid to the touch, and the root system is healthy. Once exposure to ethylene ends, most plants which flower continuously resume normal leaf growth and flowering within 1 to 2 weeks. However, with a chronic exposure to ethylene, plants may not recover. When designing the greenhouse, loss due to ethylene can be minimized by physically separating the plants from engine exhaust from shipping trucks and combustion engine vehicles used for soil mixing. Ethylene contamination from ripening fruit, senescing plant materials, smoke, welding fumes, and poorly maintained greenhouse furnaces can also be controlled. A common source of ethylene and one of the major problems involving total crop loss in greenhouses is ethylene from malfunctioning heating units or CO2 generators. Maintenance of heater, distribution tubing, vent stacks, louvers, and fuel lines must be inspected prior to use after a period on disuse. Be aware of deterioration that occurs over time to heaters and CO2 generators as well as the structural damage to the working components of the ventilation system. Exposing the heater to the elements, particularly in hot summers, can lead to rusting, cracking, and clogging of air intakes. Gas leaks resulting from cracked heat exchangers may allow harmful concentrations of ethylene to be released. Continual expansion and contraction of the metal in the heat exchanger of a furnace can stress the welds, producing cracks. Leaks at joints and seams can be detected by painting soapy water on them and looking for bubbles. Another method for detecting leaks is the placement of smoke bombs or furnace candles within the firebox. If light or smoke is observed, call a professional to inspect your equipment. Growers must carefully consider the type of heater purchased. Greenhouse heaters can be vented or unvented. Unvented gas burners should not be used when growing greenhouse vegetables. Vented heaters also produce ethylene in the exhaust, but the exhaust flows to the outside through a vent stack. Vent stacks should be located away from trees and nearby buildings and should extend 2 feet or more above the top of the greenhouse. They should be terminated with at least 3 feet of vertical pipe equipped with a suitable cap. Vent pipes should be tight to reduce the chance of leaks and should be supported against the wind. Vent stacks should be checked periodically to make sure they are not blocked. Providing enough ventilation and intake of fresh air from outside the greenhouse is also critical. There should be 14 cubic feet of air for each cubic foot of gas burned or 1 square inch of vent cross-sectional area of opening from outside air should be provided for every 2,500 BTU capacity of the heater. The flame of the burner must be a clear blue. Yellow or orange flames indicate that there are impurities in the fuel or a wrong furnace setting. Some growers seal the ventilators completely at night in order to save heat, however, pollutant concentrations can rapidly build up without night venting. The installation of a pipe that takes in air when the furnace burner is ignited is advised. Without enough oxygen, complete combustion does not occur, resulting in dangerous levels of ethylene, sulfur dioxide, and other gases. Oxygen can become depleted in 2 to 3 hours and lead to incomplete combustion when there is no venting. In Alabama, it is common for greenhouse to go days without ventilation as days are overcast and cold night temperatures require continual heater operation. Oxygen levels in the greenhouse are of primary concern when temperatures become cold and growers seal their houses tightly for heating efficiency. Whether a grower is burning gas, oil, or wood, a complex mixture of gases will be produced such as carbon monoxide, ethylene, nitrogen dioxide, or nitric oxide. If the fuel contains sulfur, sulfur dioxide is also produced. Plants are 5,000 times less sensitive to carbon monoxide than to ethylene, but humans are highly sensitive to carbon monoxide poisoning. Sulfur dioxide can cause chlorotic spots and bleaching of interveinal areas of plants. Check of all switches, belts, valves, bearings, motors, fans, thermostats, filters, pipes, and gas lines should be conducted prior to uses your heaters to ensure everything is working correctly. Heat Exchanger: Check for cracks. While the furnace is running, inspect for light penetration. Furnace: Check for leaks. Place a smoke bomb or furnace candle within the firebox. Gas Lines: Check for leaks. Painting soapy water on the joints and seams. Exhaust Chimney: Check for leaks and obstructions. Pilot Light: Clean pilot and orifice. Flame: Make sure the burner flame is clear blue. Yellow or orange flames represent impurities or a wrong setting. *Adapted from “Ethylene: Sources, Symptoms, and Prevention for Greenhouse Crops” NC State University Horticultural Information Leaflet 530 (7/2000).